It starts with building on a solid content management system as the foundation using WordPress. Then we create a look and feel that is in sync with your business or brand identity. Content updates are done through an easy to use administration tool. This greatly reduces costs by providing you the opportunity to do as many changes as you want with no additional cost! It also makes it quicker for us to make changes for you, reducing the time it takes me and reduces the cost if we do your content changes for you. We will manage feature implementation and testing in a timely manner to meet the desired due date of 07-31-2017. We will do our own internal testing before releasing features and/or updates to you. We will do our best to always release complete and stable code for approval. Bugs found during testing will be fixed in a timely manner. 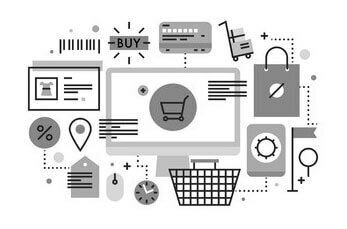 Functionality that’s required but beyond what’s supplied by WooCommerce will be added with purchased add-ons rather than custom coding whenever possible. The six additional features we will provide are; data import export tool, advanced shipping, pdf quote creation, live chat, wish lists and tiered pricing. Cost of purchasing and implementing these additional items are included in the total project cost. Powerful We use the WordPress Content Management System on all the websites we build. Safe-Secure-Robust-Industry Standard-Open Source-Millions of Users Worldwide-PHP/MySQL Based. From the administration side of the website you have full control of your website’s content with an easy to use interface. It also reduces cost when we do content changes and updates for you. Secure We use security plugins on WordPress to ensure your website’s safety 24/7. Also, all websites and project files are backed up regularly. Responsive We use a Responsive framework to create custom themes for our website solutions. This guarantees that your website will look fantastic on all devices regardless of screen size. From an iPhone or tablet all the way up to high resolution computer monitors. Plus, you get a unique design rather than using a theme out of the box that lots of other sites may also be using. Smart All the WordPress websites we build also come standard with a full suite of powerful plugins that add things like SEO, traffic reporting and more. We also setup your Google Analytics and Google Webmaster Tools accounts for you. In the end, we may use a different option for some of these. But, this will provide at least the general information about how we plan to implement. 2 Acre Studios supplies the "heavy-lifting" it takes to produce custom website solutions specifically tailored to each client's needs. Recurring service agreements, donation processing, on-site estimate PDF creation, you name it and we can do it! agree.masplease.com - Mobile-friendly business application that allows MAS Design the ability to produce and send an estimate in PDF format to their potential clients via email.